Even after you make a will and sign it, you can change it. Over time, you may want to change beneficiaries or executors to reflect changes in your family or friends. You don't need a lawyer to change your will, but you must make sure your changes meet your state's legal requirements. To amend a will or its terms, you can create a document called a codicil. Codicils are separate documents that directly address a previous will, changing one or more of its terms. Your codicil can completely revoke your previous nomination for an executor or simply name an alternate to the executor you already have. Since the codicil does not change the other terms of your will, the original terms remain in place. Typically, state laws require that codicils meet all the execution and signature requirements of a will, so your codicil may not be valid if it is not properly signed and witnessed. You can also make a new will to change or add your executor nominations. You don't have to have a lawyer make a new will for you, though you may wish to get legal advice before drafting a new will. 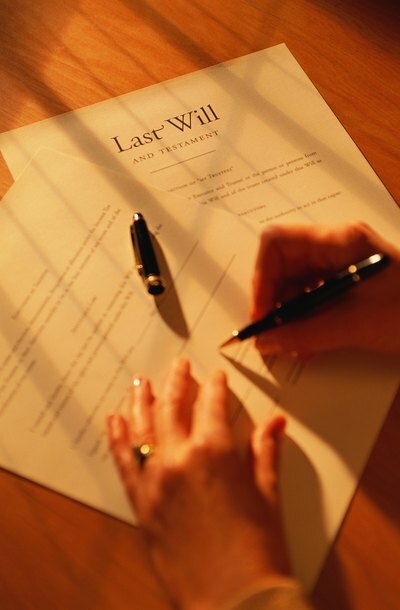 A new will can change many terms at once, and it automatically revokes your old will. Like your original will or a codicil, your new will must meet all of your state's requirements.